Do Women Have to Vote for Hillary? I’ve been keeping one eye on the U.S. primaries. I won’t start obsessing until the field gets whittled down a bit and panicking if Ted Cruz ends up getting the GOP nomination. The one thing that stands out is why Hillary Clinton isn’t running away from the pack on the Democratic side. She almost upended history and beat Barack Obama eight years ago. Yet now, she’s struggling against Bernie Sanders. That doesn’t make a lot of sense because on paper, she’s the most qualified candidate. But there is something about Hillary for me and apparently for many other women that gives us pause. First off, do we have to vote for a candidate just because she’s a woman even if she’s not our kind of candidate? Is there some kind of sisterhood requirement at play? Second, why are older feminists scolding younger ones for not climbing on the Hillary bandwagon? Having won the vote, don’t women have the right to vote as they choose without pressure from men or women? Third, is there a generational disconnect for the Clinton campaign? Some polls show that while she has the support of female Baby Boomers, she’s lagging among younger voters who seem to prefer Sanders. Is this in part because younger women shy away from the ‘f’ word? But some argue that the Clinton’s marriage is an asset not a liability. Some say Hillary is The Good Wife and her steadfast loyalty is inspiring. 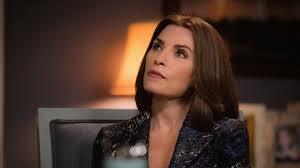 (It’s interesting to note that The Good Wife is calling it quits this season.) Others dismiss Bill Clinton’s once heady charisma as that of a roue who has stayed too long at the bar and doesn’t look very attractive when the sun comes up. Despite her qualifications, I couldn’t ever imagine voting for Hillary. I don’t like enablers. I don’t like people who fudge the truth or don’t think the rules apply to them. Yes, I know that applies to most alphas, most politicians, most people in power. But shouldn’t it apply equally to women as to men? I’m glad I’m Canadian and don’t have to decide one way or the other. Questioning Jian Ghomeshi’s victims p.2.